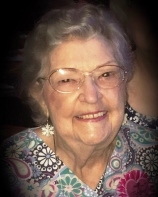 Patricia Clancey Boudreaux, age 91, a resident of Slidell, Louisiana, died early on Saturday morning, August 18, 2018 at her home. She was a retired hostess at Jacob Schoen & Sons Funeral Home in New Orleans, LA and a former resident of Bogalusa, LA and New Orleans, LA. She is survived by a daughter, Peggy Brennan; son-in-law, Ronnie Brennan; granddaughter, Becky Hammond; grandson-in-law, John Hammond; grandson, Nicholas Boudreaux; great grandson, Joey Hammond; and great granddaughter, Jenna Hammond.